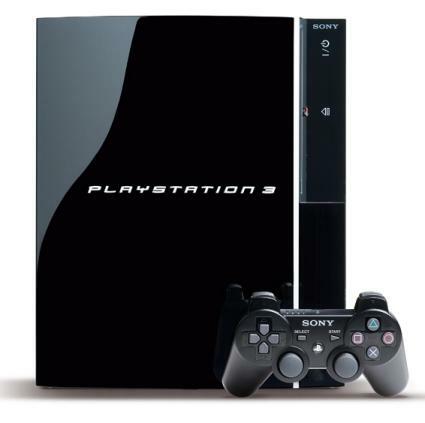 The Sony PLAYSTATION 3 (PS3) is based on a 3.2GHz Cell Microprocessor, with 256MByte GDDR-VRAM. The processor is PowerPC compatible. The alliance of (IBM/Sony/Toshiba) who created the Cell processor have been active creating Linux kernel patches for the processor since Linux Kernel 2.6.13. Sony has created kernel patches specific for the PS3 in Linux Kernel 2.6.22, as well as maintaining the GNU toolchain (gcc, binutils etc). Version: 11.2 Starting with this build, the PowerPC will no longer be supported. A computer to download and copy files on to media. If the PS3 has memory card slots: Memory Stick, SD memory card, or CompactFlash. Note: Just as with any system, having both a keyboard and mouse simplifies things a lot. But it is possible to install with only a mouse, and possibly even simpler with only a keyboard! Tip: With only a mouse it is possible to copy-paste characters from Help tabs. Download the PPC edition of OpenSUSE and burn it to a DVD or CD media using your favorite burning tool. * Select Settings -> System Settings -> Backup. Select Settings -> System Settings -> Format Drive. Create two partitions one for the PS3s normal use and one for openSUSE. Note that you will lose any non backuped game info. Note: When restoring the complete backup messages from PS3 sounds like it will restore the complete disk as it was before the partitioning, but it will not. * Remove the external (USB) drive (assuming it doesn't also contain your otheros.bld file). Insert the media that contains the otheros.bld (see technical note below) file structure which should be your OpenSUSE install media but could also be anything. A USB key or drive is probably easiest but in theory any valid media would be fine. Select Settings -> System Settings -> Install Other OS. The PS3 will display the installers it can find. If it can't find the otheros.bld file then your file structure is probably wrong. Click OK to start the installer. Follow the instructions of the Sony installer. To boot into the Other OS, select Settings > System Settings > Default System > Other OS. This causes the 'Other OS Bootloader' to be loaded on every boot. To forcefully boot the PS3 back to Game OS hold down the Power button for about 5 seconds or more. With a keyboard you can use the ps3-boot-game-os command to reboot to the PS3 Game OS. Now it's even possible to switch back to Game OS from within petitboot by selecting "gameboot". Caution: Holding down the power button for 5 seconds resets many PS3 settings! During the PS3 OtherOS install step, your media should have the following folder structure. It is a requirement to use single-byte characters only. If for some reason that file structure is not available on your OpenSUSE install media, it is possible to download the Bootloader seperately (see Software Requirements) and it can be installed from a separate media such as an USB key or drive. Boot Other OS, select Settings > System Settings > Default System > Other OS. It is not recommended to enable Online Repositories during installation as the PS3 might run out of memory. Please add Online Repositories *after* the installation using YaST. This no longer applies for openSUSE 11.1 as it utilizes the ps3vram driver to use video memory as additional swap space. It is also not recommended to run on-line update during the installation--checking for the Internet connection is OK. This is especially true for 11.1 as the OSS/Non-OSS are both pointing to the wrong repository (see below). Also, the graphic driver cannot access to H/W acceleration features of the graphic chip (i.e., no 3D) therefore it is best NOT to install KDE4 and use some lightweight window manager. For example, I installed KDE3 then switched to IceWM for day-to-day use. Note that this limitation is for ALL distros NOT just OpenSUSE. openSuSE="/dev/ps3da5:/vmlinux initrd=/dev/ps3da5:/initrd quiet panic=42 sysrq=1 video=ps3fb:mode:X"
openSuSE="/dev/ps3da5:/vmlinux initrd=/dev/ps3da5:/initrd quiet panic=42 sysrq=1 video=ps3fb:mode:4"
For overscan (fullscreen) mode, add 128 to the mode value. To turn dither mode on, add 2048 to the mode value. Do not install the kernel-ps3 package. This is only a "bootstrap" kernel for the early part of the ps3 boot process. For 11.1, this is automatically done during installation process. Use YaST/S/W Repositories to disable the OSS and Non-OSS repositories pointing to download.opensuse.org. The Update repository seems to be correct even though it is pointing to download.opensuse.org. Pick a mirror site near your location and use Yast/Add-on Products and S/W Repositories to add Packman repository. Once you have the desire repositories setup, it is time to run the update (YaST/S/W Management, click on Package, All Packages, Update is newer version available). Even though you now have the correct codecs, you probably cannot play video on your PS3 as the video driver only provides basic graphic capability. Adobe has not provided a flash library used for web video such as youtube therefore, you need to install either GNASH or SWFDEC. However, I have never been able to play video on youtube with neither gnash nor swfdec and the problem may be caused by the video driver? During install the resolution might not be large enough to display the buttons at the bottom of the install stages. Pressing ALT-N works as "Next" even if the button is not visible. This also applies to the user creation screen but you must fill in the the default user with password before the button will work. If you're having trouble with audio (no sound) please check that your audio device is enabled (try alsamixer). In case that doesn't fix your problem please check that your account is in group "audio". To check this open yast, go to "Security and Users" and select "User Management". The PS3 seems to be a bit picky when it comes to various kinds of DVD media. In case you encounter random freezes during installation or DVD is not recognized by the PS3 try a different brand of DVD media. It's no longer possible to install/run openSUSE 11.0 with firmware >= 2.5. The ps3vram driver crashes during installation and in the system. If you have an installation and want to get it running again you need to remove the function enable_ps3_vram_swap in /etc/init.d/boot.swap. openSUSE11.1 has a fixed ps3vram driver that works with firmware 2.5 and above! If you do not repartition in the game os before booting to the otheros, you will not be able to start ps3-boot-game-os. That means you cannot go back to game os but with the 5s power button method and loose some ps3 settings (tested with ps3 fw 2.53 and opensuse 11.1 dvd otheros.bld). Do not use lvm for the root filesystem even if /boot is on a separate partition. The bootmanager petitboot does not support this. Using lvm for other mountpoints like /usr or /home is ok. In 11.1, the OSS and Non-OSS repository wrongly points to download.opensuse.org instead of powerpc.opensuse.org. See http://en.opensuse.org/Bugs:Most_Annoying_Bugs_11.1#PPC. Anything missing in this wiki page? - Add it! PS3, PLAYSTATION, Memory Stick and any other trademarks that appear on this page are owned by their respective owners, but you already knew this. This page was last modified on 10 August 2017, at 20:10. This page has been accessed 21,910 times.